This was the first froyo poetry contest sponsored by the IFYA. The winning poem was submitted on Instagram by @db_pottery. The prize included a $25 Menchie's gift card and other froyo items. LOS ANGELES - July 28, 2016 - PRLog -- The winning poem has been selected in the International Frozen Yogurt Association's first froyo poetry contest. The author of the original poem about frozen yogurt, @db_pottery, will receive a frozen yogurt gift bag that includes a $25 Menchie's gift card, Yogurtland keychains and other frozen yogurt items. The winning poem was submitted on Instagram. Contestants had three weeks to submit an original poem about frozen yogurt. Susan Linton, President of the IFYA said, "We created this contest in honor of the IFYA's third anniversary. 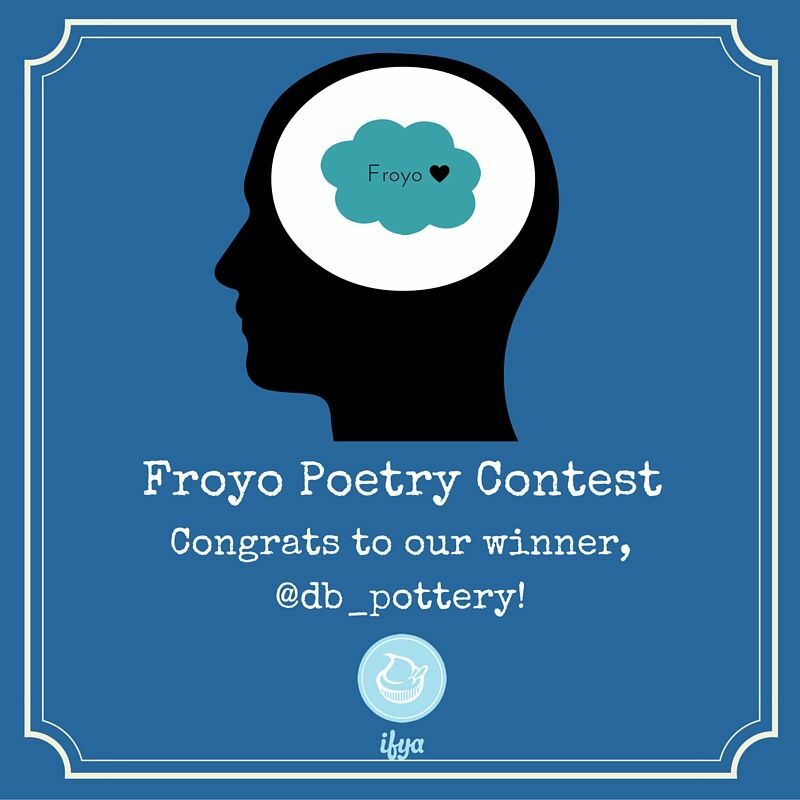 Our goal was to find a poem that demonstrated a love for frozen yogurt and that's definitely what comes through in @db_pottery's poem. We love the enthusiasm and joy expressed in the winning poem." Congratulations to our winner, @db_pottery. and anxiously find out my fate. which one would be my favorite? The time was getting close to see. and it was soon to be mine. I wanted to have in my cup. once it finally hit my lips. it's something I never go without! and happily pay for my treat. presented to me before my very eyes! me and my beloved fro-yo... Hooray! Hooray! The International Frozen Yogurt Association (IFYA) serves as an unbiased source of support and information for current and prospective frozen yogurt store operators. The Association sets and promotes standards to elevate the quality of frozen yogurt stores through the Swirl of Honor™ program. IFYA represents frozen yogurt shops, suppliers and consumers across the world. Visit the IFYA website, http://internationalfrozenyogurt.com/, for additional information.